Yakub Ali Montu, Chairman of the Risk Management Committee of NCC Bank Limited, presiding over its Risk Management Committee Meeting at the Bank's head office in the city recently. Md. 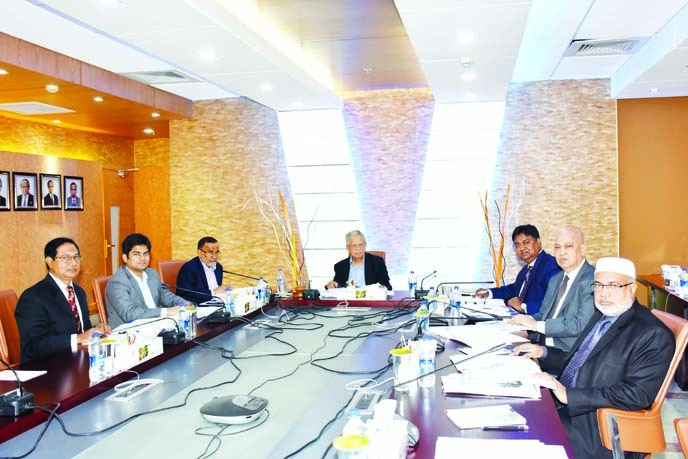 Nurun Newaz Salim, Chairman, Mosleh Uddin Ahmed, Managing Director of the Bank and Mohammed Sazzad Un Newaz, member of the committee were also present.